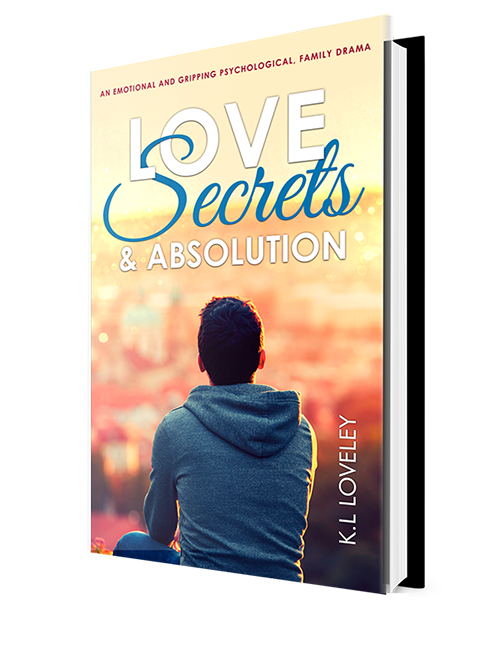 Today is my day to host author K.L Loveley on her Love, Secrets, and Absolution Blog tour. Below you will find details about the book released on November 1st, where to buy it, and a brief bio on the author. To be in with a chance of winning a goodie bag full of prizes hop on over to my competitions page and enter via the rafflecopter. People in the village gossip about Grace’s son, Alfie. He’s a lonely boy full of secrets, lies, and obsessive thoughts. How far can a mother’s love go? Will she ultimately sacrifice her life for his? Set in Nottinghamshire, this family drama follows the lives of Grace and Alfie as he transforms from a naïve, young boy into a teenager spiralling out of control. Love, Secrets, and Absolution is a coming of age story with a difference. Deceit, betrayal, love, and addiction, a family falling apart in the midst of teenage angst and torn loyalties; will anybody find absolution? K.L Loveley is a former nurse, who has seen, heard, and dealt with a wide range of medical, social and family dramas. She has used her nursing experience, along with her excellent people-watching skills to create fascinating characters and intriguing scenarios within her books. She writes contemporary fiction, psychological dramas, and poetry. Her debut novel Alice was published in February 2017, and the story tackles alcoholism head-on and presents the reader with an empathetic account of a spiraling addiction and the resulting pattern of hopelessness that many fall into. K.L Loveley’s second novel Love, Secrets, and Absolution: An emotional and gripping psychological, family drama is a coming of age story with a difference. Deceit, betrayal, love, and addiction, this story is about a family falling apart in the midst of teenage angst and torn loyalties. If you enjoy reading authors like Jodi Picoult and Diane Chamberlain, you will enjoy K.L Loveley! K.L Loveley lives in Nottinghamshire, England and loves socialising with friends and family. She is an avid reader and enjoys a variety of genres including psychological, thrillers and historical fiction. Her favourite authors include John le Carré, K.L Slater, Marian Keyes and Philippa Gregory.